Since 2010, JoY Music Studio (JMS) has been operating as a private studio for Owner/Composer/Producer/Sound Engineer Giorgio Piovan (Cassandra Wilson's "Another Country", MTV's "The Hard Times of RJ Berger", Fabrizio Sotti's "Through My Eyes" and "Inner Dance", films "Father's Day" (2017), "Second Skin" and "The World At Night"). Only since February 2017 did Giorgio decide to open JMS to the public. His mission has been to serve the large and uber-talented community of indie musicians in Los Angeles. Giorgio feels that these musicians are always in need of a top-quality, affordable recording studio, where they can spend time not only for the final recording, but even more importantly, for the prior stages of writing, pre-production and production. JMS and its Partners can take care of virtually any request and offer extreme flexibility and scalability in terms of pricing and solutions, ranging from simple voiceover, writing and pre-production sessions to full-blown projects. By starting "small" and "on a limited budget", any project can gradually be scaled up and funneled into a powerful--but otherwise difficult-to-access--pipeline of top professionals. 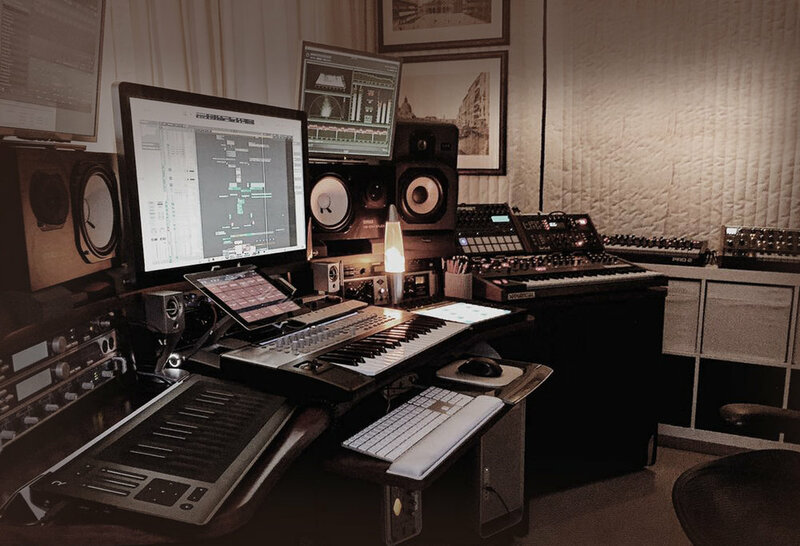 JMS, besides being a recording studio open to the public for rent, is the headquarter of JoY Music Productions, a Music Production Company operated by Composer/Producer/Engineer Giorgio Piovan, Massimo Zennaro and Carlo Montagnèr. 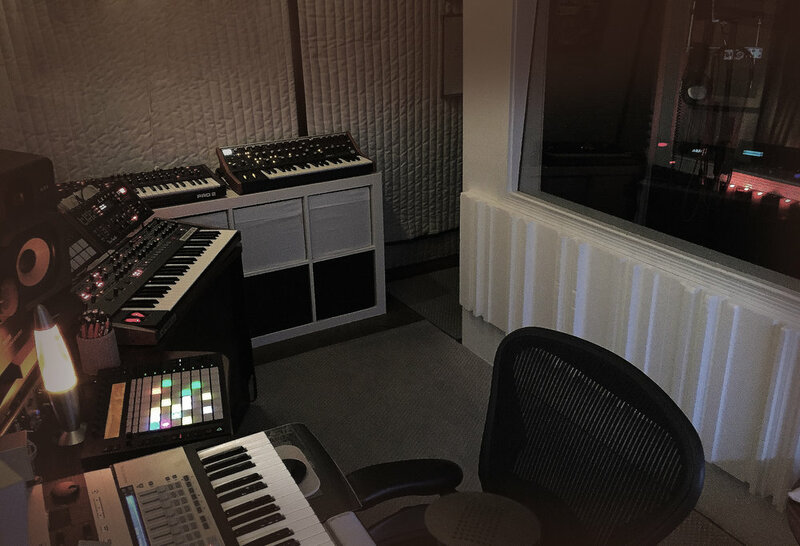 JoY Music Productions , in addition to JMS in Los Angeles, also operates out of Massimo Zennaro's and Carlo Montagnèr's personal recording studios in Jesolo, Italy. A very cozy and inspiring environment where Creativity is naturally and privately promoted and enhanced. Located in the heart of historical Downtown LA--in the center of a dynamic and creative neighborhood--convenient to restaurants, museums, galleries, hotels, restaurants, shops, cafes, etc. 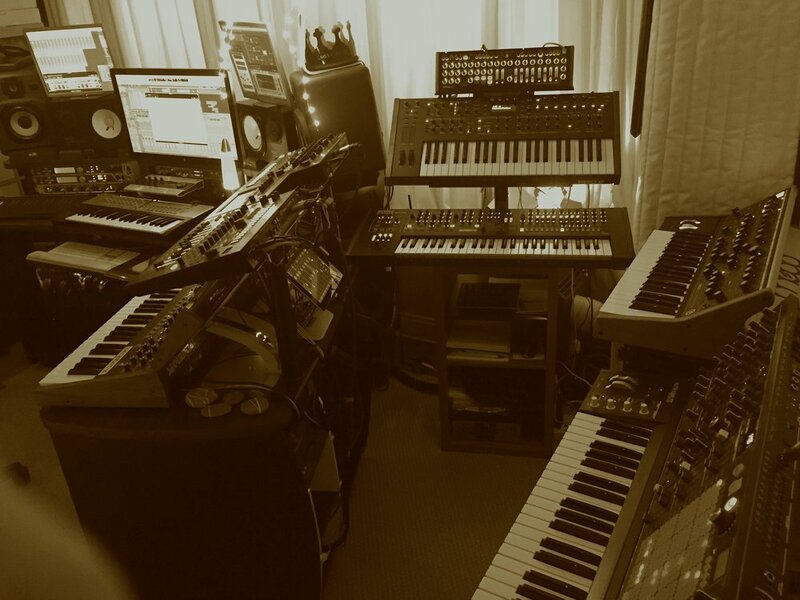 Perfect environment for writing, pre-production, production, recording, post-production and mixing. JMS is set up to record vocals, guitars, acoustic string instruments; it is NOT set up to record drums. Flexible schedule that can be stretched to 24/7 when necessary. The Spring Arts Tower--where JMS is located--has 24/7 access and security. World-class equipment for production, recording, editing and mixing. 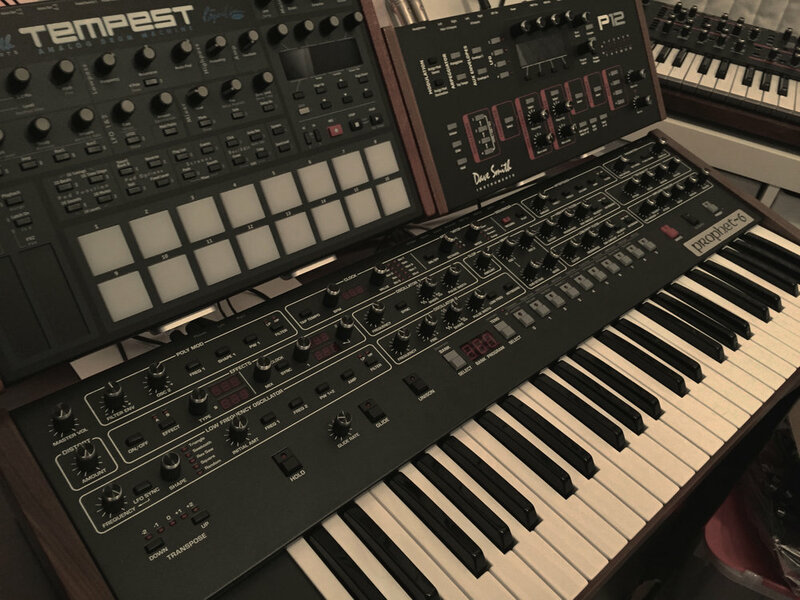 World-class analog synthesizers, such as Minimoog Model D, Prophet 6, Prophet 12, Pro 2, Subsequent 37, Tempest, Arturia Matrixbrute and more. A comprehensive Roland AIRA system is also available, comprising System 1m, System 8, TR-8. TB-3, MX-1. The wiring allows to connect CV in/out between analog hardware synths as well as between the computer (NI Reaktor Blocks, etc) and hardware synths. Affiliation to a network of world-class producers, engineers, session musicians, recording and mastering studios as well as record labels. Our business model is designed to open the door to the best professionals and structures for indie acts that operate on a tight budget. We nurture projects towards achieving their maximum potential, going through the same steps that acts signed with major labels go through.